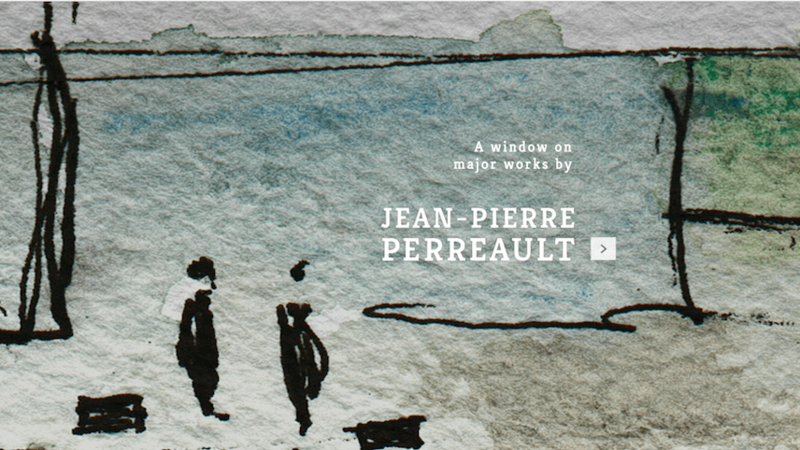 The virtual exhibition Jean-Pierre Perreault, Choreographer, directed by Ginelle Chagnon, reveals the world of Jean-Pierre Perreault, tracing his personal and artistic journey. The exhibition features 15 major works accompanied by over 625 photographs, drawings, manuscript notes, dance notations, program excerpts and posters. The exhibition also features excerpts from 38 video recordings of past performances and 59 interviews with former collaborators. Click on the title of a work in the lower portion of the home page.Video recordings of past performances may be viewed in the Watch & listen section. Artefacts and interviews with collaborators are presented in the Archives & interviews section. To find out more about choreography and architecture, the human element and temporality in the oeuvre of Jean-Pierre Perreault, click the Themas tab in the upper portion of the exhibition home page. Finally, the Pedagogical Material features stimulating dance appreciation and movement activities encouraging students to explore the world and works of Jean-Pierre Perreault in a uniquely creative way.